POPTAN CSN is a combination of basic chromium salts and a lightfast white tanning agent. The product can be used as selftanning agent or as pretanning and retanning agent in vegetable and chrome tannage. It imparts to the leather a particularly soft handle and a tight grain. 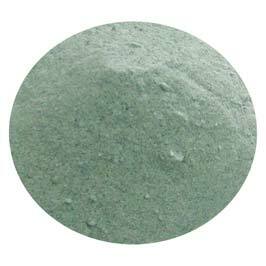 Appearance : Pale green powder readily soluble in water. Poptan CSN is primarily used for the production of leathers with mellowness and supple grain without altering the chrome. leather character. The use of Poptan CSN retains fineness and tightness of grain and prepares the leather for level dyeing. It is preferable to use Poptan CSN in powder form, 4-8% Poptan CSN may be used depending on the type of leather. Poptan CSN is recommended for neutralizing and retanning of chrome leathers. It also has complex forming and buffering properties. For the tannage of low chrome wet blue to improve uptake, 1%-2% is recommended. For the retannage of chromed stock, sides, skins or splits for clothing and gloving, 2%-6% is recommended. When used as retanning agent for E.I. tanned goat skins, it imparts an extremely soft handle and fills up the leather without unduly loading the gain. When used alone it yields white leathers of good fullness and highly resilient handle.